Beogram 1200 - Types 5213, 5214, 5216, 5217 - was Bang & Olufsen's first 'designer' system. The design 'kinship' which emphasised the interdependence between B&O’s various products, became a characteristic of B&O for many years. Beosystem 1200 was one of the first products selected by the Museum of Modern Art for the museum’s permanent collection (not exhibition) in 1972. The system components were designed by Jacob Jensen. 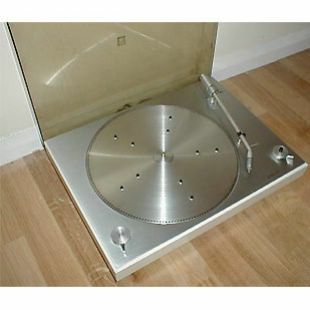 In 1972 the Museum of Modern Art in New York (MoMA) chose seven Bang & Olufsen products designed by Jacob Jensen to be included in their Design Collection as representing excellent examples of the Museum's criteria for quality and historical importance; design, in fact, which had influenced the twentieth century. 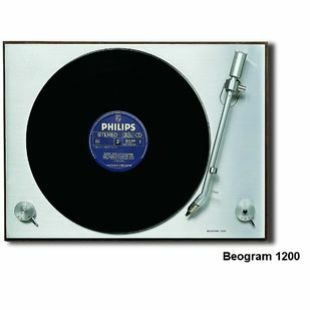 Beogram 1200 was one of those seven products. From an audio point of view, this was an advance in some ways - isolation from vibration was slightly better though still not up to the later decks. The peg support for the records was however not so clever as the excellent mat of the 1000 and 1800 offered far better cushioning. It did however look wonderful. Close inspection of the studs reveal that the inner studs are slightly shorter than the outer ones. They do remove for cleaning so do make sure you put them in the right places!! 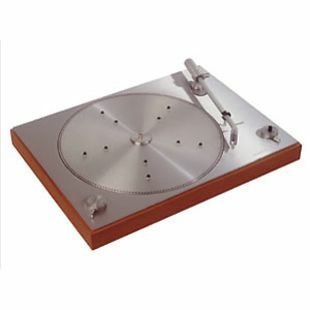 Beoworld says: classic B&O deck though very stylish platter is not very supportive. Worth looking for a 1202 which is a considerable upgrade.